On morning walkies yesterday, I noticed a raptor fly in and light on one of the power poles. I had my Sony NEX-5N with a Komine-build Vivitar 200mm f/3.5. As I approached, the big bird watched me. I paused every few steps to make a capture. Then I’d advance another few steps. Finally, at about 150 feet, the bird bailed. I wasn’t quite ready to capture the lift off, but it was certainly beautiful. 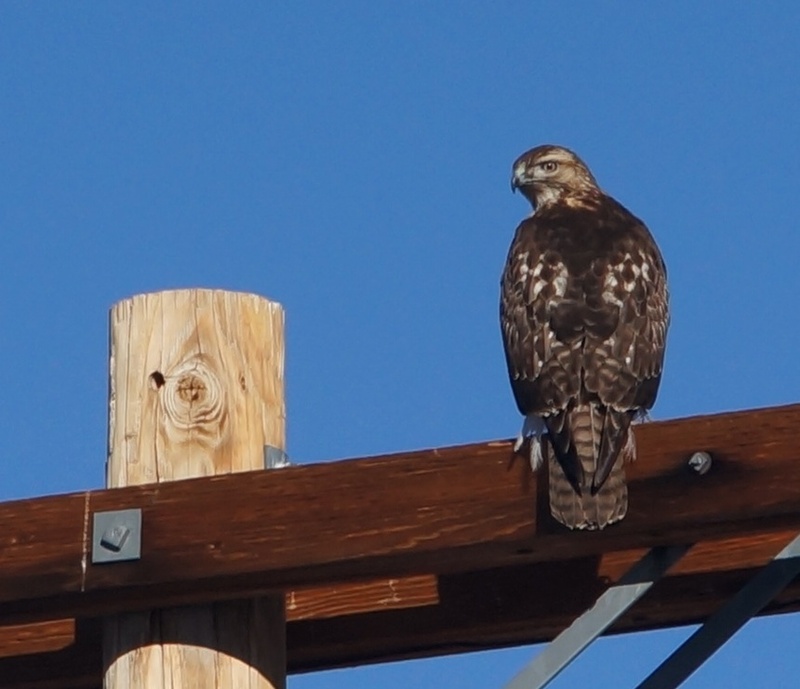 My friend Leslaw tells me this is Swainson’s Hawk. It’s favorite food is grasshoppers. It’s a little late for grasshoppers here and I’m surprised the raptor hasn’t migrated to South America.